Prey - Bring your diaper bag, cause it's scary! I have a very visual imagination. What this means is that I do not have to see things to appreciate them. This means I can extrapolate from what I've seen so far and build a rather colorful picture of the future. This is the reason why I have not finished the game story in Doom 3. It was simply too frightening. The effect of zombie meat chunks softly thudding against reinforced glass corridors kind of did it for me. 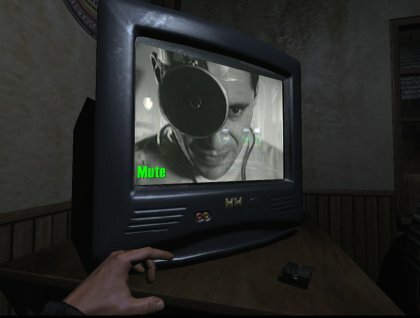 Well, so it happens that I found a First Person Shooter even scarier than Doom 3. It is called Prey. The game has been around for some time, but I have only recently discovered it, after reading a nice article by Susan Linton (srlinuxx) in Linux Magazine. I decided to see what this game was all about. The game costs money, but you have a free demo available, including Linux. Ever friendly of Linux, id Software technology did not disappoint me. I download the 500MB .run file, made it executable and ran it. The game installed successfully in my home directory and launched without any problems. Prey has a very unique story. Rather than being an ex. Marine turned a chef or a florist, you're a disgruntled Cherokee Indian lad called Tommy, living in a reservation somewhere in mid-USA and hating every minute of it. You're in love with a barmaid called Jen, but you're too much of a wuss to tell her that. 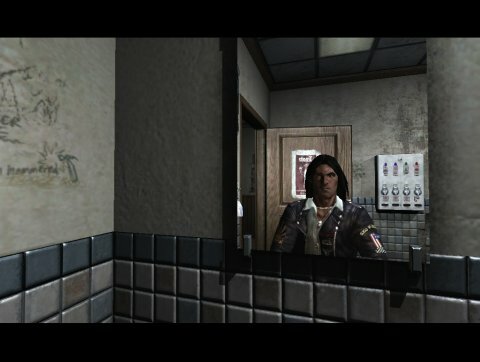 The game begins with Tommy complaining about his miserable life. Then, cue grandfather, a slightly stereotypical slowspeaking wiseman wearing traditional clothing berating Tommy and insinuating a prophetic foreboding of bad times to come. In the bar, you spend a few minutes talking to Jen, flipping channel after channel of morbid black & white 50s-style shows on a TV and listening to some trashy would-be rock. 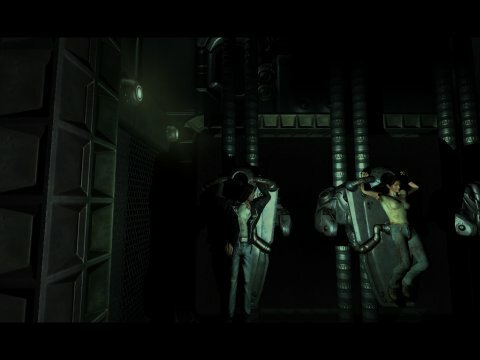 The opening scene is mainly there to get you familiar with the game concepts, which are very similar to Doom 3. 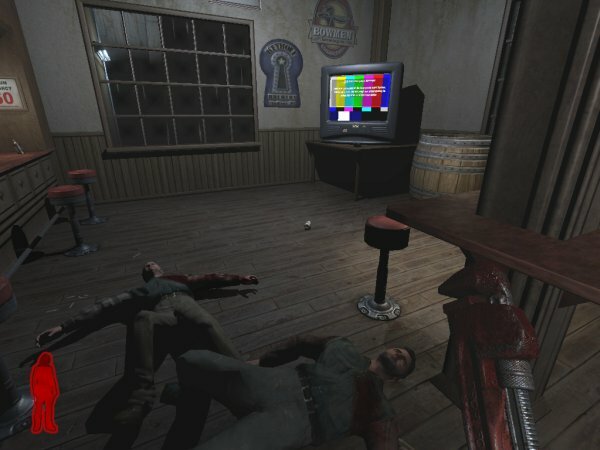 You can interact with various objects, which is important for later in the game. You also make sure to pick a rather big, rusty wrench of the counter; well, you will be needing it soon. Much like Doom 3, the game instantly infuses you with a colon-clenching feeling of something real bad's gonna happen. You don't know why, but you're waiting and expecting it. 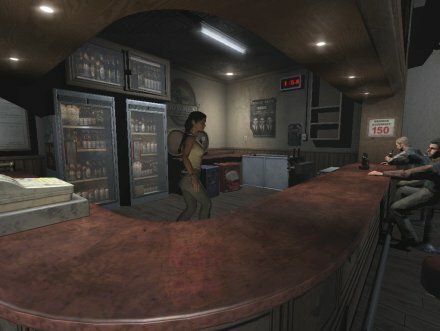 Comparing to Doom 3, the game introduction is shorter and simpler. 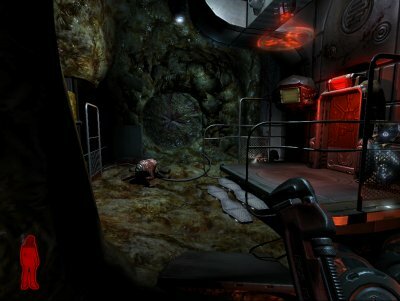 While in Doom 3 you had some two episodes of slow Mars colony exploration before cacky hit the fan, Prey offers a mere 10 minutes of fretting. Doom 3 also has far more distractions, with your chirpful PDA, emails, voice messages, a maze of tunnels and entrances, and the little Minigun-armed robots walking about. Prey focuses on a single room, with you, your girlfriend, your grandpa, and a pair of bored strangers. After a while, the two strangers decide to pick on Jen. You intervene and put your wrench to good use. Very soon, you're contemplating double murder when all Hell breaks loose. There's an emergency TV bulletin, much like in the Signs movie, informing of strange objects being seen. The music on the jukebox suddenly turns freaky loud and there's a huge spaceship above the bar, which snatches all of you away. You wake up a few hundred thousand kilometers above Earth, inside the spaceship. Somehow, you manage to struggle free off the conveyor, while Jen and grandpa are taken away. This is where true fun begins. You have to fend off against ugly-looking, flesh-eating aliens and find your girlfriend. It's just one big, bizarre love story. What happens next? Well, buy the game and you'll find out. Maybe. Reading online, there's quite a bit more. 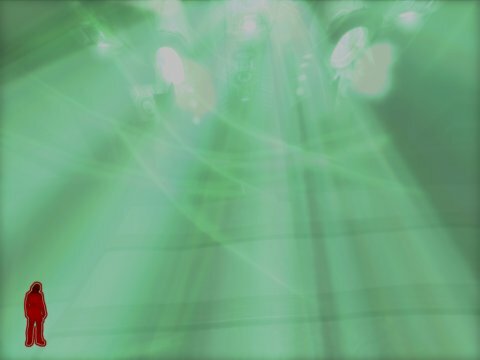 Apart from the necessary character growth from a simple lad into a space bully with laser guns and whatnot, you also undergo a spiritual journey, with your ancestor spirits coming to your aid. What more, the game adds several unique new features, but I won't tell you about those in order not to spoil the surprise. The graphics quality is really lovely. The game looks quite real. 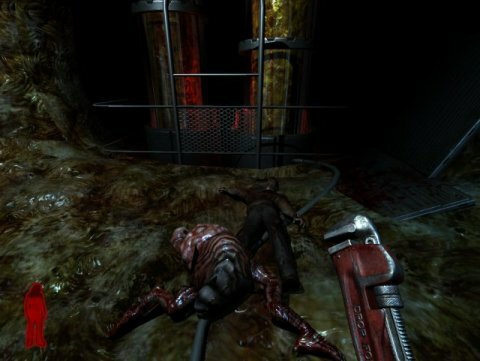 Again, comparing to Doom 3, I find the details more polished, more refined. The alien motifs look less grotesque than the hellish elements in Doom 3, however at the same time, they also manage to be more disturbing. Lighting is better than Doom 3. The game is less claustrophobic and you can better appreciate the decor. This also gives you a better opportunity to imprint fear onto your retinas, unless you have an imagination like mine, where no further help is needed. I tried Prey on max. settings and the game ran as smoothly as yak's milk. My Nvidia 9600GS on a gamer instance of Jaunty running on my new laptop took the beating without a hitch. The card did not even heat that much, which is quite encouraging. If you have a weaker card, you will still probably manage on lesser detail. The demo version offers about an hour of singleplayer game. You also have a chance to try the multiplayer game, including Deathmatch and Teamplayer on two maps. More than enough to convince you that you should not be playing this game alone, in the dark. Prey is a really great title. It has everything. Maybe too much. I'm not sure I'll have the guts to see it through, just like I chickened out with Doom 3. Call me a sissy, but this is a great testimony to the game's depth and quality. Then again, id folks always knew how to make games. If you love horror First Person Shooters, you will love prey. Morbid fear is the key element, plus a lot of small, noisy things crawling in dark corners of an organic, slimy alien spaceship entity. Definitely not suited for children, but awesome fun for adults. Your kidneys will shed adrenalin like rain. The game has been out for some time, but it's no reason not to buy it. Do it, you'll enjoy it.